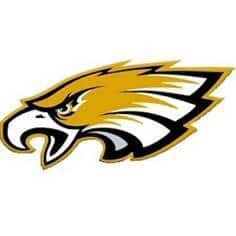 UPPER SANDUSKY — Last Friday night, the Colonel Crawford Eagles traveled to Upper Sandusky to finish off their regular season and in hopes of giving the Rams their first defeat of the year. Upper had other plans and went on to close out their season at 22-0 after defeating the Eagles, 63-36. The Rams finished the conference season at 16-0 to go along with their unblemished overall record. Colonel Crawford lost their final two games of the regular season and finish with a 16-6 overall record and 13-3 within the Northern-10 Athletic Conference. Colonel Crawford, live very few teams before them, was able to keep the Rams high-powered offense at bay for the first and second quarters. Upper took a slim 13-10 lead into the start of the second and a 20-19 advantage into halftime. The difference in this ballgame appeared to be the second half, as the Rams came out to outscore the Eagles in the third quarter, 24-12 and stretch the lead to 44-31. Upper Sandusky would continue the offensive explosion, dropping 19 additional points in the fourth and holding Colonel Crawford to just five en route to the victory. Heath Starkey finished with another double-double for the Eagles. Starkey was the only Crawford player with a double-digit point total at 14 while grabbing 13 rebounds and swatting two blocks. Brody Martin chipped in nine points, three rebounds and an assist in the Eagles’ efforts. Harley Shaum was held to just four points but did grab six boards, dish out three assists and recorded three blocks. Jordan Fenner scored four, Gavin Feichtner had three and the Rams appeared to shut down Crawford point guard Cameron McCreary, as he scored just two points to finish up the scoring for Colonel Crawford. Eagles stat line: 15/38 from the interior, 2/9 from the perimeter and 0/2 from the free-throw line; 28 rebounds, nine assists, five blocks and two steals; an uncharacteristic 20 turnovers. Wes Vent continued his scoring rampage for Upper with 25 points on the night. Eli Kinney (13) and Even Young (11) were also in double figures for the conference champion Rams. Upper stat line: 11/27 from the interior, 12/28 from the perimeter and 5/10 from the free-throw line; 23 rebounds and just five turnovers. Colonel Crawford has a first-round bye in the sectional tournament. The Eagles will meet the winner of the Lucas and St.Mary Central Catholic winner in the sectional finals on Friday March 3. Action will tip-off at 6:15 pm at Sandusky High School.